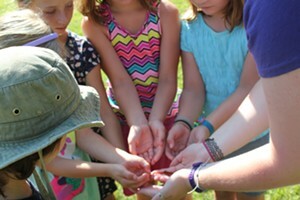 Square Pegs | Camps | Kids VT - small people, big ideas! When I was 7, my family moved from Manhattan to Johnson, Vermont. For me, that wasn't such a bad thing — until I hit middle school. When I graduated from Johnson Elementary School and entered Lamoille Union High School, my world turned upside down. At LUHS, it was very clear I didn't fit in. Being smart no longer made me special; I hadn't grown up with my classmates, whose families had known each other for generations. It didn't help that my mother was a single bohemian musician (horrors! ), we didn't own horses or a house (double horrors!) and I didn't play sports (more horrors still!). There was no alternative subculture at LUHS in those days — no skaters, no hippies — and the internet was a long way off. I was desperate to find people with whom I could connect. But no one else seemed to like Monet's "Water Lilies" or share my predilection for Mozart and the film Amadeus. My classmates thought the Cure and David Bowie looked "faggy." My life could be summed up by the Smiths' song "Unloveable": "I wear black on the outside / 'Cause black is how I feel on the inside / And if I seem a little strange / Well, that's because I am." I was 14 when I heard about the Vermont Governor's Institute on the Arts — a sleepaway camp where students spend two weeks studying drama, visual art, music and writing in the company of visiting artists. GIA chooses two students from each school in Vermont, and, lo and behold, in 1988, my application earned me one of the golden tickets. That summer, I headed to Castleton State College for the program with Zachary Ward, the other representative from LUHS. He was one of my few friends. Within moments of moving into the dorms, I made a new one — Susan Conrad, who became my bosom buddy and lifelong pal. 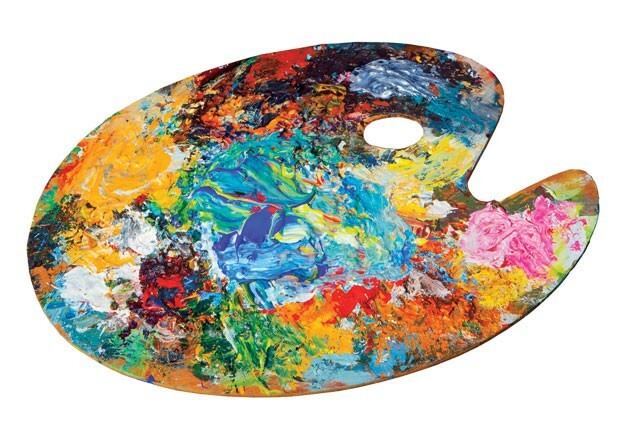 Susan was blonde, slight and already an artist with a unique, defined style. She attended Burlington High School and was always drawing fanciful creatures unlike anything I had ever seen. We soon befriended a small group of girls. We'd eat our meals together and marvel at the curious people who attended GIA. That was the magic of this camp: It was full of outcasts like me, all gathered for two weeks of delirious self-expression. There were punks and people of different ethnicities. There was a girl with an Afro. People wore chain necklaces and strange patterns, which made them look like the offspring of a Vogue model and Sid Vicious. There were people strumming guitars at picnic tables and playing new music on cassette tapes — rhythms I had never heard and beats that made me want to jump around. I met members of the Alvin Ailey American Dance Theater. At African dance class, I learned how to shake and move my body in ways I never had before. No one at GIA discussed their horses, cows, tractors or guns. Instead, we talked about poetry late into the night, drew tattoos on each other with Magic Marker and had contests to see who could play dead most convincingly. In short, I had found my people — my tribe. Living in the dorms gave us a sense of independence. Faculty and staff treated us like grown-ups, a huge change from the prisonlike atmosphere of high school. I started to feel less like a superfreak and more like a confident, self-sufficient adult. Two weeks went by far too fast. A harsh reality check beckoned back at home. But with GIA under my belt, I knew I was not alone. As my mother drove Zachary and me home, I knew I was a different person from the dejected outsider she had dropped off. Not long after, I left LUHS to spend my sophomore year at a high school in Bloomington, Indiana, where my father was a university professor. Then I left high school altogether: I went to Bard College at Simon's Rock at the age of 16 and graduated with a bachelor of arts degree at 19. The Rock was a lot like GIA, a small liberal-arts school filled with gifted misfits. After graduation, I moved to California, where I spent a decade learning how to shoot, edit and make movies. In 2004, I returned to Vermont and created my dream job making videos for Seven Days. Thanks to YouTube, my weekly "Stuck in Vermont" web videos show the rest of the world that Vermont has as many quirky personalities as it does hills and valleys. I didn't fully appreciate that until the summer I went to camp. Watch Eva Sollberger's videos at sevendaysvt.com.